Yay! The first official blog post! So excited! It's been a long time coming. LOL. I've made about 7 blogs in the past and have never been able to finish them. Last night, Buife and I spontaneously decided to create a joint fashion blog. Because, why not? We love getting dressed up, and we LOVE fashion. This is a way to document our fashionable adventures ;). Again, thanks for stopping by, and I can't wait to see what this new chapter brings! I decided to pair my beige sleeveless trench coat with black skinnies, black booties, and a black sweater. My Favorite new accessory also made a great addition! 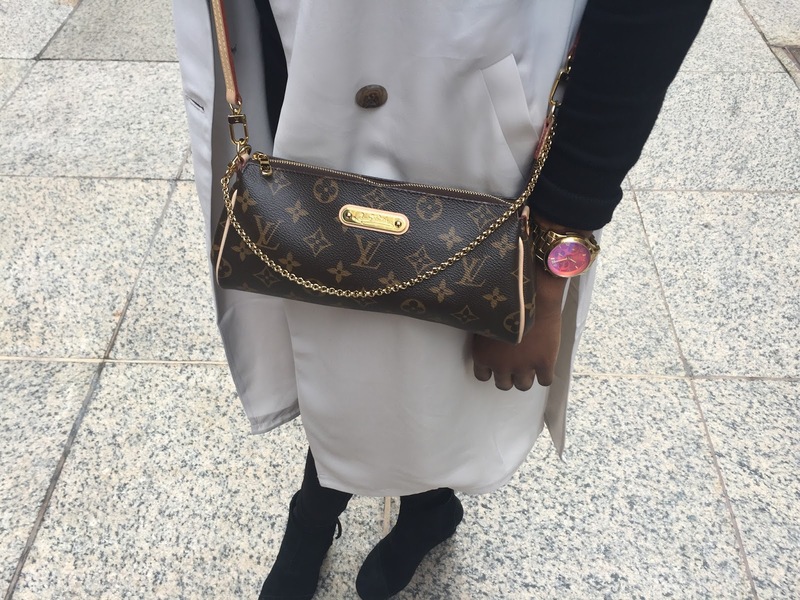 I love my louis Eva Clutch. It has a casual, yet classy and chic look to it. More on this clutch on another blog post!